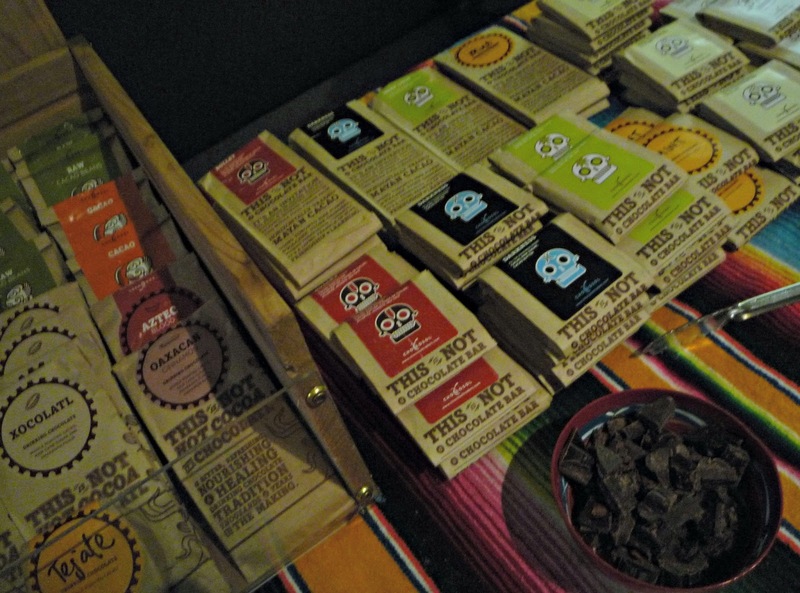 Over reading week, Harvest Noon held a series of workshops in conjunction with ChocoSol. I attended the second event entitled, ChocoSol Workshop Series II: Cacao, Coffee, and Commerce. The ChocoSol employee and presenter was very knowledgable about cacao and coffee as he was a biology student. It was fun to see him geek out about some of the specifics of the plants. For example, he told us that the cacao pods grow directly on the main trunk of the tree, a feature known as cauliflory. 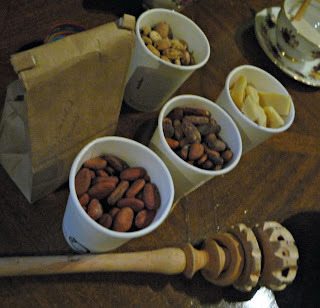 He was an articulate and knowledgeable speaker but it was difficult to pay close attention to his speech as he was constantly passing out samples and working on preparing a crude cocao drinking chocolate. 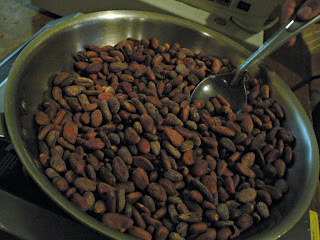 Exhibit A: First the cocoa beans were roasted. Exhibit B: Once roasted it is easy to separate the the bean from the chaff (pictured in the two bowls in the foreground). 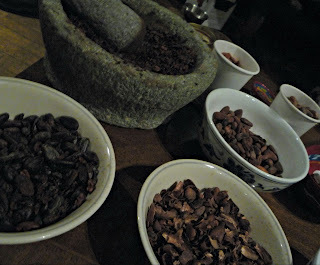 The beans are then ground in a warm mortar and pestle. 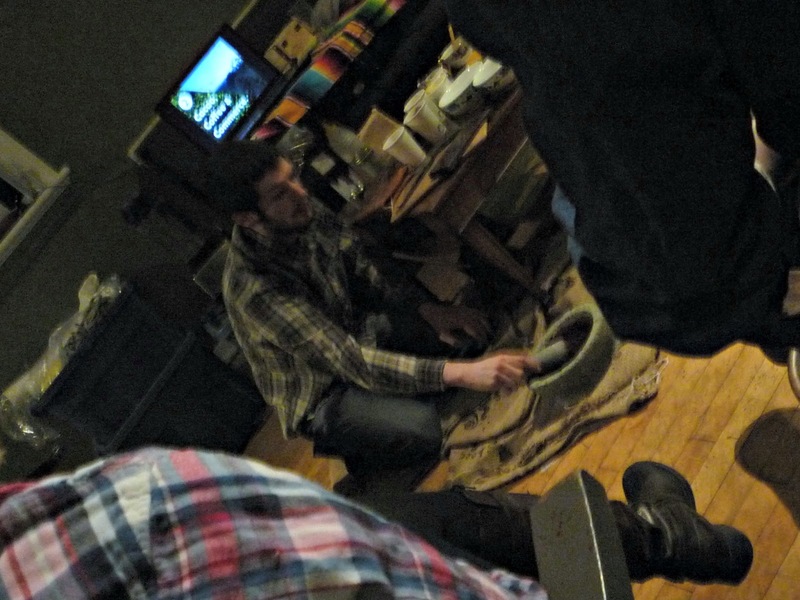 Exhibit C: The ground cacao is then mixed with hot water in a jug and agitated with the wooden 'whisk' seen below. Exhibit D: The finished product and some of ChocoSol's products. 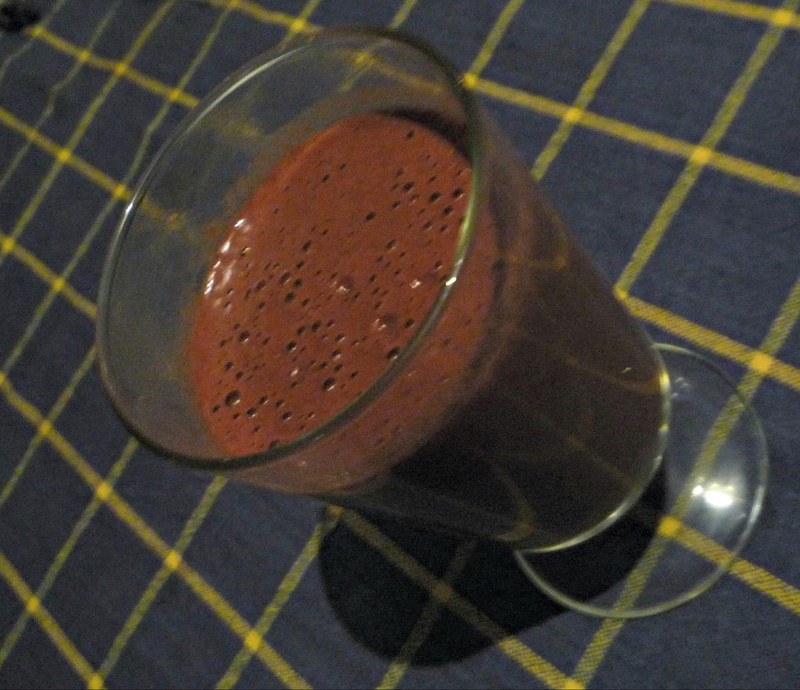 The finished product was wonderful and the process is simple so I've added 'Make drinking chocolate from Cacao beans' to my culinary to-do list! - There are many varieties of cacao. - There are only three commercially available varieties of Cacao. 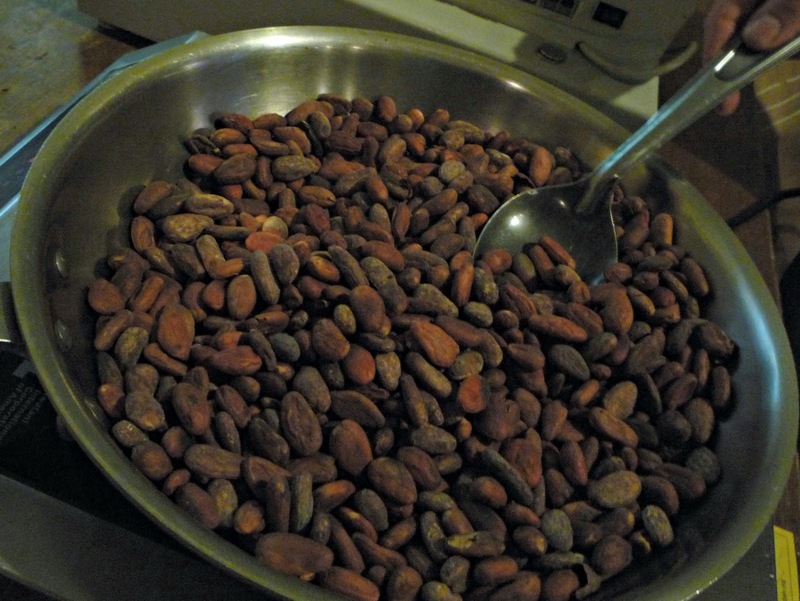 - Cacao nibs are roasted and crushed cacao beans.